London’s Metropolitan Tabernacle sits across from a run-down subway station in the south of London, surrounded by housing projects, bars, and abandoned shops. It is off the tourist path, and average Sunday attendance hovers at 300. Its successful ministry attracts young people and serves a vital need in the inner city. Looked at another way, the Metropolitan Tabernacle has never been the same since Sunday morning, June 7, 1891, when Charles Spurgeon preached there for the last time. He was exhausted in ministry and broken down by denominational conflict. His hair was white, his face lined, his heavy frame weak. He ended his sermon without knowing these would be his last words in the pulpit: These forty years and more have I served Him, blessed be His name! And I have had nothing but love from Him. I would be glad to continue yet another forty years in the same dear service here below if so it pleased Him. His service is life, peace, joy. Oh, that you would enter on it at once! God help you to enlist under the banner of Jesus even this day! Amen! That afternoon his congregation was alarmed to hear that Spurgeon had fallen ill. He lay in bed for over a month, most of the time unconscious, sometimes delirious. London clung to every bulletin, and prayer meetings were held continually at the tabernacle. Months passed. Spurgeon rallied enough in late summer for a trip to the south of France, and hope for his recovery soared. Workers at the tabernacle installed a lift to save him the exertion of the stairs. 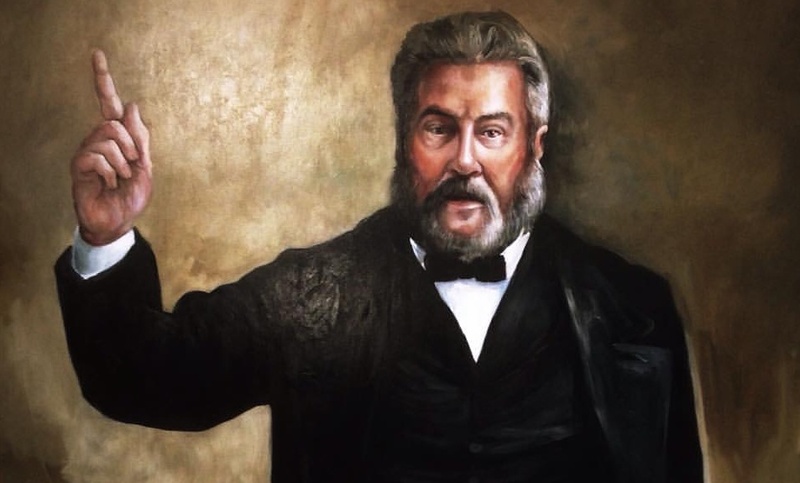 But about midnight, January 31, 1892, Spurgeon breathed his last breath, surrounded by his wife and a few friends in his room at the Hotel Beau Rivage in Menton, France. England was numbed by the news, and 12 days later his funeral cortege was surrounded by 100,000 mourners as it entered Upper Norwood Cemetery in London. He was 57. He had worn himself out under the banner of Jesus.